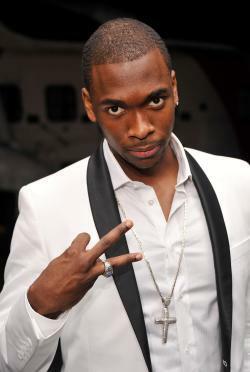 SNL Obama: Jay Pharoah replaces Fred Armisen. Ever since Jay Pharoah joined the Saturday Night Live cast two years ago, comedy watchers have wondered if and when he would replace Fred Armisen as the show’s go-to Obama impersonator. Armisen’s Obama has not gotten rave reviews—and some have criticized the show, which has never had a plethora of black cast members, for not hiring an African-American to take on the role. That latter concern—though it highlights a real weakness in the show’s casting going back to the 1970s—always struck me as secondary to the quality of the impersonation. If Armisen’s Obama was better than Pharoah’s, he would still be the right man for the job. But it’s not—just check out the clips below. Pharoah’s Obama is not quite as good as his Denzel Washington or Will Smith or Jay-Z, but presumably it will get better with practice; he is unquestionably a gifted impressionist. The more interesting question than how accurate the impression will be is what qualities of the president’s Pharoah will bring out. Good SNL impersonations can inflect the popular impression of a public figure—just consider the essentially chummy slant that Will Ferrell gave to George W. Bush, or the manic goofiness of Tina Fey’s Sarah Palin. Armisen mostly captured Obama’s nerdy side, a quality that Lorne Michaels emphasized in revealing the switch to Pharoah in the upcoming season. But if these clips are any indication, Pharoah may highlight the president’s well documented swagger. In less momentous SNL impersonation news, Jason Sudeikis is returning for the first half of the season, and will presumably reprise his Mitt Romney. Taran Killam is the unlikely frontrunner to portray Paul Ryan, though I am holding out hope Bill Hader will snag the part at the last minute.